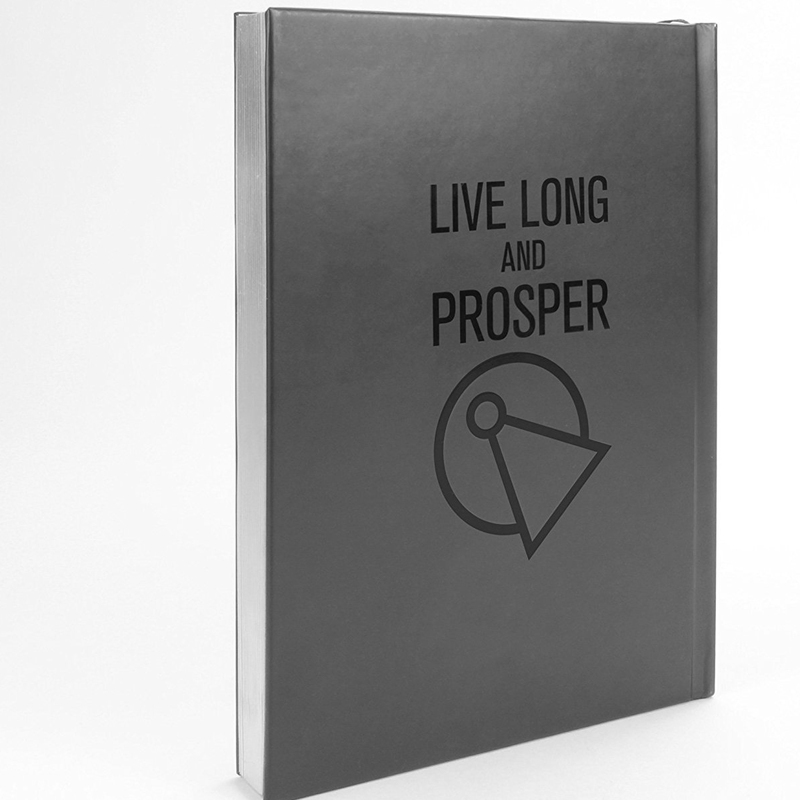 Record your "space, the final frontier" adventures in this officially licensed Star Trek: The Original Series Spock Hardcover Journal! Journal features a debossed cover stating "Live Long and Prosper" and contains 232 blue foil-gilded interior graph paper pages displaying the Science Division delta imprint. 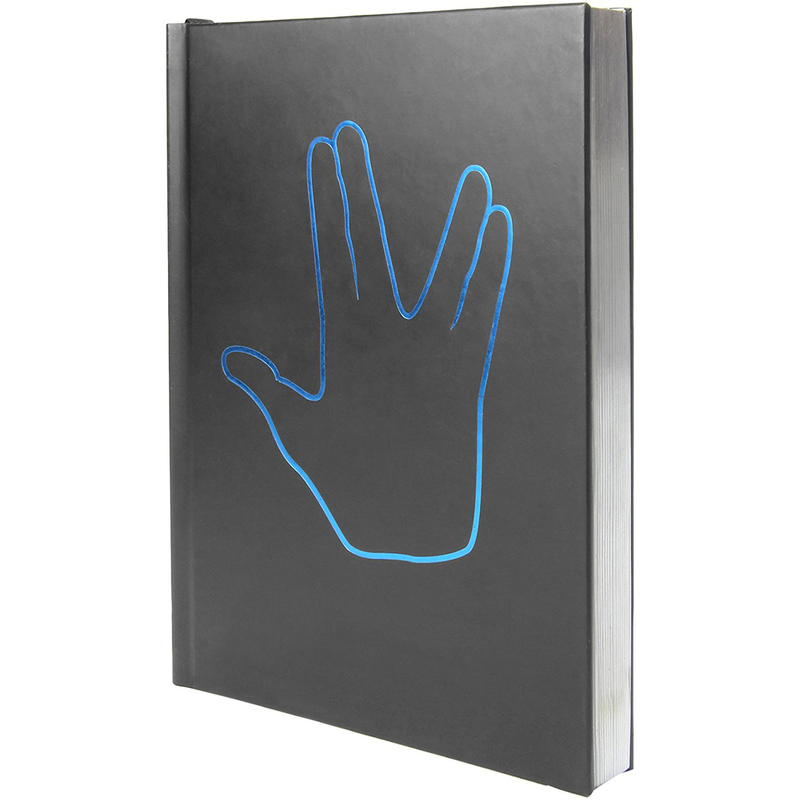 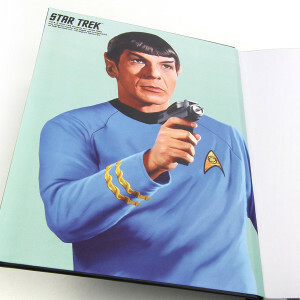 The front inside cover shows a graphic of Mr. Spock, while the inside back cover includes the Vulcan hand greeting. There's even a ribbon bookmark! 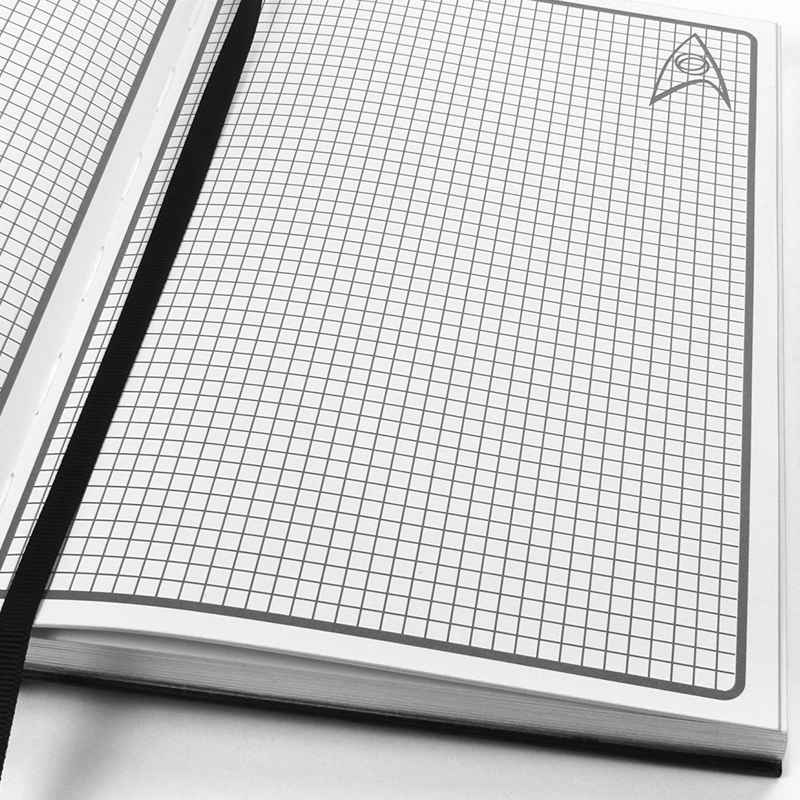 Hardcover bound notebook measures 8.25 inches by 5.8 inches.